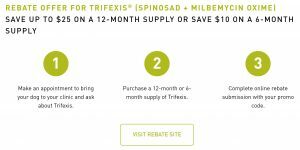 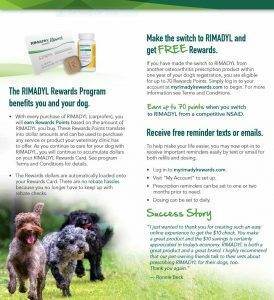 Click on the images below to learn how you can save on your pets medications and preventatives. 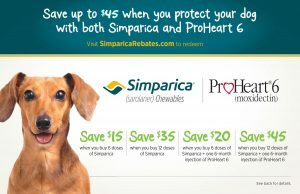 Including: Simparica | Proheart | Vectra | Rimadyl | Trifexis. 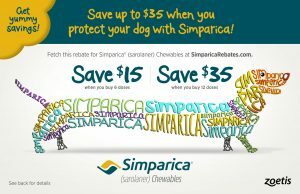 Our way of saying thank you for choosing us! 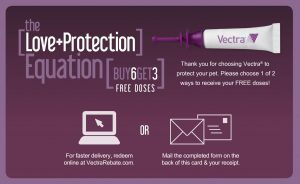 promotions or to receive your Vectra card to claim your free doses!